Have you missed the Bad Album Cover Hall of Fame? Well good news: We have a new inductee. 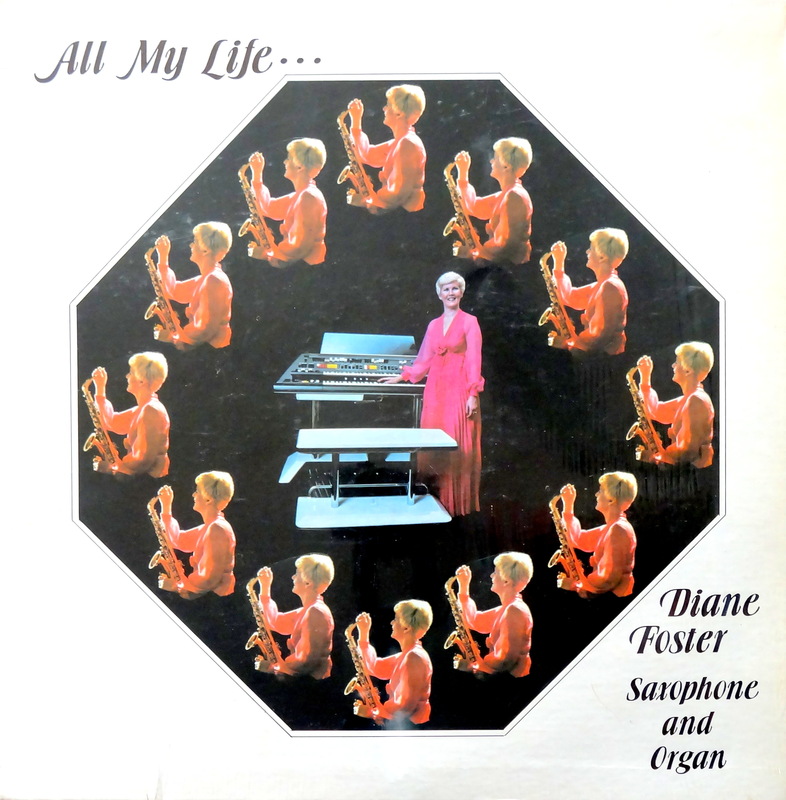 I know nothing about Diane Foster and her swingin’ saxophone and organ, other than she appears 13 times on this album cover along with a Yamaha EX-2 synthesizer. The EX-2 was introduced in ’77 and retailed for $25,208. Those aren’t adjusted dollars — that’s the actual 1977 price. I can’t find a date anywhere on this treasure, but judging by the hair, dress, EX-2 and multi-exposure layout, this has to date between ’77 and ’81 or so. It appears to be a self-published collection of gospel tracks arranged for sax and organ, so there you have it. I think Mrs. Foster might still be around. Sacramento’s Metro Swing Band lists a Diane Foster on alto sax, our Diane Foster’s axe of choice, so it’s possible. I hope she is — I love the idea of someone finding joy in making music for a lifetime. So if you stumble upon this, Mrs. Foster, good on you for doing what you love. You have my respect and admiration. But Sweet Christmas, that’s an awful album cover. What a combo. Saxophone an organ. The bone-a-phone should be in there somewhere.